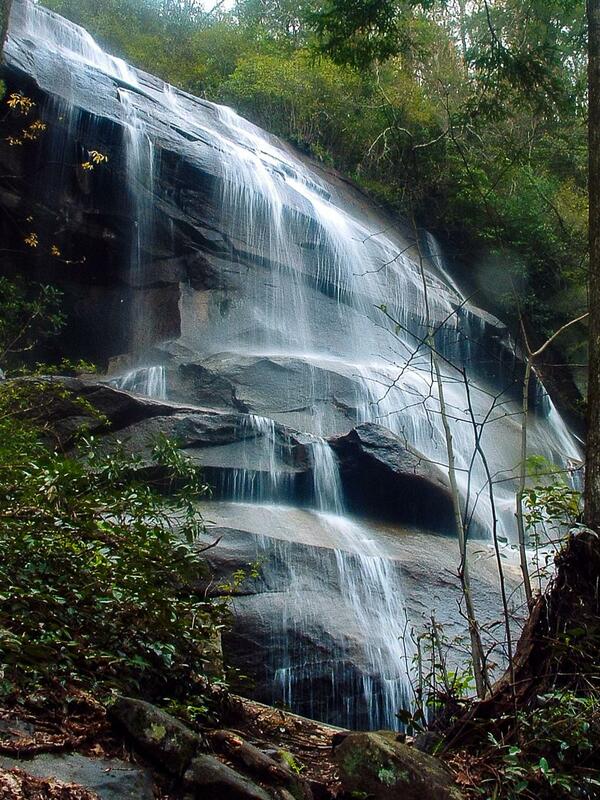 This misty waterfall splits into numerous smaller cascades as it tumbles down the high rock cliff. It's easier to see all of it at once now that the big hemlock tree which grew in front of it is dead, but some paths up to the base provide a better close-up view. The hike to the falls is easy, on an old gravel logging road, and less than a mile round-trip. From the parking area, follow the gravel road over the big steel and wood bridge over the Davidson River. Bear right at the intersection with the Daniel Ridge Loop trail just ahead. After a short uphill walk, the other end of the Daniel Ridge Loop Trail meets the road. The waterfall is just ahead on your left.